As students return for the fall semester, diversity and inclusiveness will once again be front and center. The social unrest and protests seen on campuses served as a call to action. Campuses are responding to create more inclusive climates, recruit diverse faculty and develop socially responsive curricula and institutions. If last spring is any indication of what’s to come, greater strides are needed to ensure diversity and inclusiveness are more than ubiquitous buzzwords but serve as basic values embraced and demonstrated at all levels of the institution. But the level of vitriol shown in this year’s presidential campaign may thwart efforts to bring diverse groups together. On the one hand, Hillary Clinton’s 1996 controversial reference to gangs of children as super-predators has resurfaced along with the criticism of Bill Clinton’s 1994 crime bill, argued to have contributed to the mass incarceration of black males. Yet, the resurgence of these events contribute to the negative stereotypes of blacks in the U.S.
On the other hand, if Donald Trump were to win, he would become the first president without political or military experience. Donald Trump’s lack of political experience and rejection of the political correctness has appealed to some voters. However, these very factors have insulted and offended American citizens. In a time when diversity and inclusiveness efforts have increased in the public and private sector, Donald Trump is sending a message that promoting diversity and inclusiveness is not synonymous with putting America or Americans first. In what he terms a rejection of political correctness, Donald Trump’s words and actions run counter to efforts to improve diversity and promote inclusiveness. Mr. Trump has called for a wall between the U.S. and Mexico, extreme vetting of visa applicants and consideration of deportation squads to round up the nearly 11 million undocumented persons. Each of these policies would have broad implications for public sector personnel and would run counter to efforts to improve diversity and inclusiveness. Public administration faculty should strongly consider discussing how each of these administrative actions would impact public sector personnel and how these actions bode with their personal beliefs about American democracy. Despite what policy proposals or rhetoric Donald Trump puts forth, campuses should work to ensure diversity and inclusiveness are evident in every aspect of the collegiate experience. In this critical election season, administrators and faculty should become adamant supporters of diversity and inclusiveness. In fact, campuses would be wise to use Donald Trump’s campaign to assist in the identification of pitfalls to be avoided. In order for diversity to be successful, those in positions of power and influence must deliberately think about diversity. 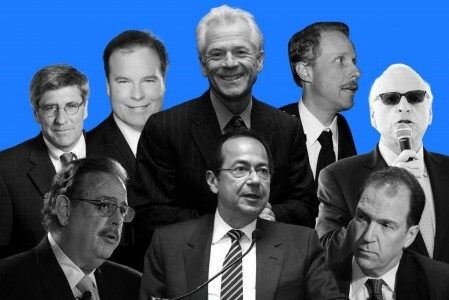 When Donald Trump assembled his economic advising team, he chose billionaire bankers, investment managers, hedge fund managers, many of which he had done business with before. His initial selection of all white men exemplifies one of the greatest challenges of promoting diversity, denial of equality of opportunity. For diversity to truly take hold, those in positions of power and influence will have to acknowledge their implicit biases and make a commitment to ensuring equality of opportunity. The very premise of inclusiveness is making people feel valued. Donald Trump’s language has been offensive on many fronts. Donald Trump uses language that is divisive. His reference to a Black man as “my African-American… sitting there behaving,” demonstrates a lack of awareness in how to appropriately identify group affiliation without making people feel ostracized. Donald Trump’s lack of sensitivity is more about the disregard of Black history and the Black experience than the false narrative around rejecting political correctness. 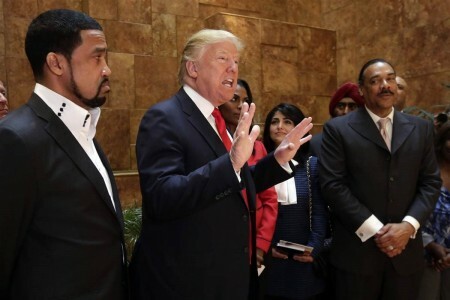 If he respected Black people, Mr. Trump would reject the monolithic characterization of Black people as all living in poverty ridden communities, without jobs, with rampant unemployment and failing schools. Asking black Americans to vote for him because they have no hope, no future and nothing to lose demonstrates a level of disrespect and divisiveness every American should denounce. As American citizens we should accept our role in promoting diversity and creating inclusive environments. We should reject the notion that political correctness is something to be eschewed. There is nothing wrong with creating an environment where people who are different from you feel respected. Diversity and inclusiveness are important matters. The more we do to bring this country together, the better off we will be as a society. Every time I read something negative about Trump, I can not believe how many people decided to vote for him. This is the first time I read about how black Americans should vote for him because they have no hope. It sadness me so much because the only people that have no hope are those who lack compassion and that is something he truly does not have. He is so disrespectful and I don’t see how people don’t think that this election had anything to do with race, which is very clear by these comments he makes, directing them at certain minority groups. Gloria, Thanks for leaving your opinion. I wonder if the “Bradley Effect” came into play in this election. It was popular consensus to say, “I am not voting for Trump”. However he still one. I wonder if many people in the public eye said they would not vote for him, but when in the private election booth, did. The exit poles’ mathematics indicate that a large amount of United States citizens voted for President Obama, Voted for President Obama, and voted for Trump. Furthermore, if this was the case, which it must have been, I wonder how many African American citizens and Mexican American citizens actually voted for Trump as well. Any thoughts? I think this happened to some extent, but looking at the numbers, the vote tally for Hillary outpaced Trump by nearly 4 million votes. A lot of people voted for Trump, but more importantly, he won the electoral college votes. Thus, he gets to serve as President of the U.S. I agree that Mr. Trump speeches generate hatred among all people. What gives me sadness is that people lost hope. I love this country and I know that it is hard the situation, but… why people allowed themselves to follow the steps to someone who never shows respect to others? I also want changes but I do not want leaders who encourage bullying and make fun of others. To answer the question of Hunter…yes, many Hispanic voted for Mr. Trump. Myself, I heard someone who said that we are so many here ! Excuse me? I thought I hear wrong, but unfortunately that it is a reality. Many, many, agreed with Mr. Trump. I just can’t believe it, because this beautiful country has enough for everyone. I do believe in our Professors who are in charge for our education, and I know that they will fight to include everyone no mater what.